@OOBS Thanks for the suggestions. While most of what you are saying makes sense, I have tailored this deck to my specific playgroup. Decks in the playgroup include Sultai Control, Mono Red Hollowed one and a speedy Simic Hive Mind . 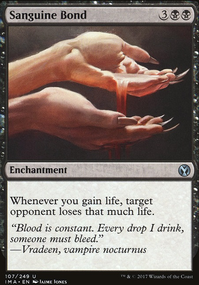 I can't run many board wipes because otherwise Hollowed one get most of everything back, and Sultai can flat out win the game using Scavenging Ooze . 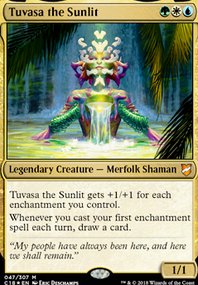 No one other than me uses artifacts/enchantments so Fracturing Gust would (ususally) hurt nobody but myself(unless I needed the life). Settle the Wreckage would work, but only against the Hollowed One deck. 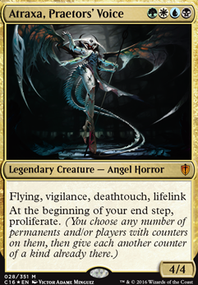 Duskwatch Recruiter Flip often replaces Thalia, Heretic Cathar , or maybe Abzan Falconer depending on how aggressive they are or if I need flying. 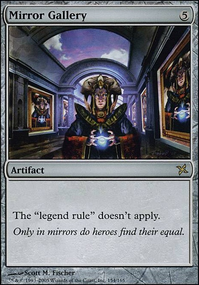 Harmonize is a card I commonly replace with things like Duskwatch Recruiter Flip and Nihil Spellbomb (I play against Storm as well). Dropping Harmonize for Militia Bugler seems like a good idea. And until recently, this deck was relatively budget(being around $150 US) and I wanted to keep it low using basics and Selesnya Sanctuary as well as Temple of Plenty to keep the deck relatively budget. 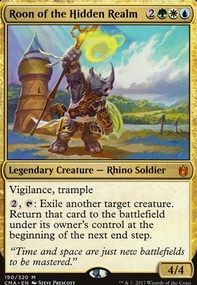 But for some reason the deck price shot up and about doubled and now I'm looking at a more expensive, competitive land base using fetches and such. so i'm going to keep Tireless Tracker in here until later testing. 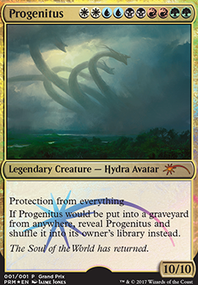 I feel Nihil Spellbomb and Relic of Progenitus are interchangeable. Nihil is cheaper manawise, whereas Relic gives my a card so I'm basically going to base it off price. So I'm going to go for Nihil Spellbomb for the time being. I have added some more lands, a Llanowar Elves and an Elvish Mystic . I have also added Garruk's Packleader for some card draw. 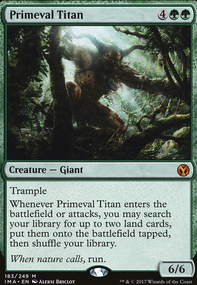 triproberts12 Thanks, I have been been reading through the comments on that deck and was wondering if putting lands like Stone Quarry , Pinecrest Ridge and Selesnya Sanctuary are better or if I should go with signets. I have also been looking through some cards i already have that might fit in the deck and put them in the maybeboard, I am interested in what people think to these cards in the deck.